Tickets to Adam Kay: This is Going to Hurt (Secret Diaries of a Junior Doctor) at the Garrick Theatre now on sale! British comedy writer, actor and comedian Adam Kay returns to London's Garrick Theatre with his hilarious, best-selling show, This is Going to Hurt (Secret Diaries of a Junior Doctor), following overwhelming ticket demand and sell-out shows at both the Garrick last autumn and the 2018 Edinburgh Festival Fringe. 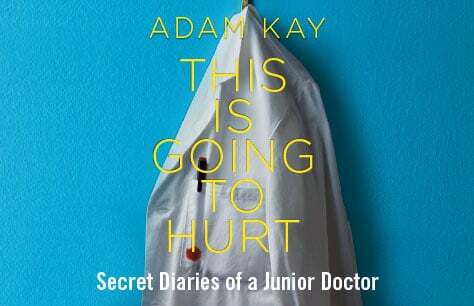 What to expect from Adam Kay: This is Going to Hurt (Secret Diaries of a Junior Doctor)? Adam Kay is a former NHS junior doctor and an award-winning comedian and author. Having crossed over into the entertainment industry, he has worked on such TV series as Mitchell & Webb, Mrs. Brown's Boys, and Blind Date. The doctor has also made appearances on screen as a panellist for 8 Out of 10 Cats Does Countdown, Newsnight and more. So far, Adam has enjoyed 6 years of sell-out shows at the Edinburgh Festival Fringe with no signs of losing momentum any time soon. His accompanying book, which will likely be available for purchase and autograph after the performance, is being turned into an eight-part BBC comedy series. Book Adam Kay Garrick Theatre tickets now and avoid disappointment! Take a rare glimpse into the cases of a former junior doctor at the NHS with This is Going to Hurt! Book your tickets early and secure the best seats and prices to Adam Kay live on stage at London's Garrick Theatre! The evening was most enjoyable. I had read his book and found it amusing to see him on stage.